How do you make a medical site friendly, approachable and inviting? That was the challenge we were faced with when One Heart Cardiology asked us to create a website from scratch. 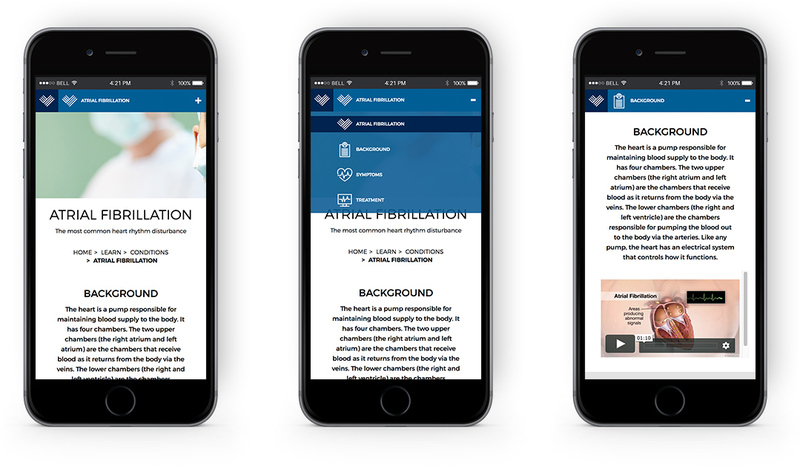 A site that contains a lot of medical and technical information can seem daunting to the average patient, we wanted to present the client with a site that was easy to navigate with a seamless UX – allowing people to easily find and understand the potentially stressful medical information. A workshop seemed the most logical way to go. By nutting it out together we could understand the business and its requirements, what the objectives were, what resources were available and what else we needed to get the job done. This resulted in a full website design process, where we established a comprehensive information architecture. This was followed by wireframes, planning out and interactions and optimising the user experience journey – in particular, navigation items. UX navigation was optimised for significant content areas such as medical information. 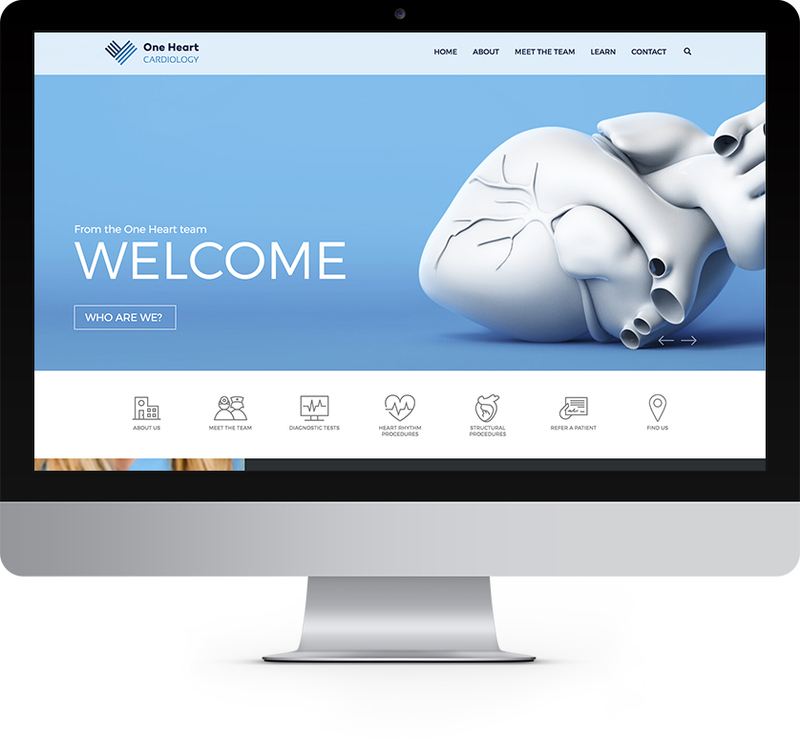 Then we made all of that look stunning with a fully custom website design based on branding and the collateral supplied by One Heart Cardiology. We were methodical in our Q&A/testing to ensure the best result for client.